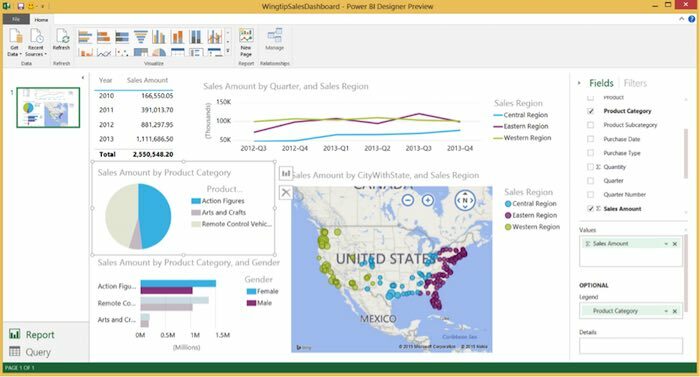 Verdict: With the release of Power BI Designer Microsoft has stated quite emphatically that it intends to develop a BI environment outside Excel. Had this not happened then Qlik Sense would certainly have been the most suitable BI offering for many medium and large businesses. But this new development shows that Microsoft is keen to develop a powerful and easy-to-use BI toolset. Quick Sense on the other hand is Qlik’s response to Tableau’s run-away success in the self-service BI market, and they seem to have bridged two difficult shores. On the one hand Qlik Sense is very powerful – it’s extendible, handles data well with its associative data engine, and is a true enterprise BI solution. On the other hand it will permit business users to slice and dice their data with ease and great power. So it all depends on need. Right now Qlik Sense provides ease-of-use, but is an enterprise solution. Microsoft is gearing up for a substantial BI offering that is both easy to use and extensive – Microsoft Azure, Machine Learning, HDInsight and other analytical components are shaping up to form a substantial analytic platform. If you need a pure-play BI solution then Qlik is the best way to go – for now at least. But if you are looking for a broad analytical platform, with a significant cloud component, then Microsoft Power BI is the way to go, when the new non-Excel tools and cloud service mature. Qlik responded to the seemingly insatiable appetite for self-service data visualisation tools by releasing Qlik Sense. Qlik View on the other hand was seen as too difficult to use by some users – and so Qlik Sense came to be. It needs to be stressed that Qlik Sense is a very flexible and powerful BI platform. In real BI scenarios it is often necessary to go beyond the raw capability of the platform and extend it. Qlik Sense is actually one large set of extensions, and users can build their own if needed. The associative data engine also handles relationships between different data sources very well, and will suggest new data as a report or query is being formed. This encourages users to look at new and often unexpected relationships, which in turn can lead to new insights. 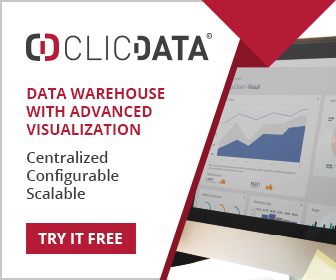 Of course it provides all the data visualisation functionality that might be needed, and all the components on dashboard will adjust when one of them is changed. And since governance is now flavour of the month (after the free-for-all of the last few years), Qlik Sense provides ample mechanisms for the management and governance of the BI environment – and always has. In talking about Microsoft Power BI I am aiming at a moving target. But one thing is clear – Microsoft sees a life for BI outside Excel – and about time too. It is also building a considerable portfolio of analytics technologies with its acquisition of Revolution Analytics (a commercial version of the open source R analytic platform), the development of its Azure Machine Learning platform, the acquisition of DataZen (the mobile analytics platform) – and now the release of Power BI Designer. This latter embraces most of the functionality of the pillars of Excel based analytics – PowerPivot for data modelling, PowerView to create data visualisations, Power Query for data manipulation and discovery and Q&A – the natural language query interface. In fact Microsoft has stated that the capability of Designer will be developed more rapidly than that of the Excel based tools. Designer is free to download – and it’s impressive. It isn’t a mature product, but many users will get from it what they want, and it already accesses an impressive list of data sources. The cloud component of Power BI can act as a repository for reports, dashboards and charts developed in Designer, and it is here where they can be shared with others, and also modified. It’s all shaping up to be quite an offering.